Honestly, what could be more unfair than catching a cold in the summertime? Unfortunately, warmer temperatures don’t make you immune to cold and flu germs that can affect your body any time of the year. Although there is no solitary “cold and flu season,” there are over 200 viruses that affect the body differently. And to make matters even worse, summertime flu symptoms can feel even more severe because of the hot weather, which dries out your mouth and sinus cavities. Enteroviruses, the most common summertime viruses, can cause fevers, mild respiratory congestion, headache, muscle aches, nausea, and vomiting. An obvious way to minimize your risk of catching seasonal influenza is to avoid sick people. Fortunately, there are generally less people sick in the summer so flu viruses are more difficult to catch. But not all of us can manage to avoid our friends, families, and co-workers when times get tough. Before you head to the pharmacy counter and stock up on cold pills, throat drops, and cough syrup, consider some healthy alternatives that can boost your immune system when it needs it the most. An easy, refreshing, and delicious way to stay healthy is to drink fruit and vegetable smoothies on a regular basis. Most people are familiar with the standard strawberry-banana variety, but you can add exotic ingredients, like kale or ginger, to give super powers to your summer treat. Iced green tea is another refreshing drink praised for its natural healing benefits. Natural supplements like Beta Glucan also help the body build immunity to pesky viruses that ruin summer barbecues and well-deserved vacations. Beta Glucan is derived from oriental mushrooms that boast anti-fungal support properties. Some of our Beta Glucan capsule supplements even contain organic carrot powder, which provides the body with Vitamin A and is an essential part of a well-balanced diet. Chances are, you’ll be able to escape cold and flu symptoms if you maintain a healthy diet with organic produce and nutritious supplements throughout the year. 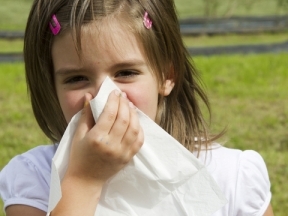 But if you do fall victim to the summertime flu, most summertime flu symptoms do fade within a couple days. Try using honey or Olive Leaf Throat Spray for sore throats, and either lemon or cayenne pepper mixtures for congestion. Prescription and over-the-counter medications tend to be a one-size-fits-all form of treatment. Taking a pill that treats symptoms you don’t have could make you immune to those medications when you may actually need them in the future. Although keeping up immune-boosting natural supplements may sound like a hassle, it’s a small price to pay for enjoying your precious summer months! Debra Privett - I love the Olive Leaf, the nasal spray and the throat spray when I am sick. When I start getting sick I take 9 Olive Leaf a day and feel better in a couple of days. © 2019 Seagate World|ProPhoto4 Blog by NetRivet, Inc.